The banking and finance sector is one of the industries at high risk of exposure to bribery and corruption, especially through Australasian banks expanding into Asia, Citigroup says. In analysis of the approach of 100 potentially “at risk” companies, Citi Sydney-based analyst Elaine Prior says, within the financial services sector, both ASB’s parent Commonwealth Bank of Australia (CBA), and BNZ’s parent National Australia Bank (NAB) “appear to lag”. ‘Banking and financial services are a potentially ‘high risk’ area, due in part to the need for interaction with regulatory authorities and/or government partners in countries of operation, yet CBA and NAB appear to provide little detail on their management of this particular risk area,” says Prior. Among examples of high risks she includes banks expanding into Asia, – “moving into countries where corruption can range from significant high level kickbacks for major contracts, to petty day-to-day corruption”. ANZ has been expanding into Asia the most aggressively of the big four Australasian banks. Its anti-bribery and corruption policies and processes are the most detailed of the big four banks, as outlined by Prior (see below). 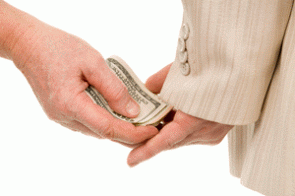 Prior notes an international consensus has emerged on the need to tackle bribery with support from the OECD, World Bank, the UN, G8, G20 and others. “There is evidence of increasing enforcement, and strengthening international initiatives under which governments aim to exert peer pressure to encourage stronger enforcement,” says Prior. - Can reduce returns for investors with broad based investment portfolios.